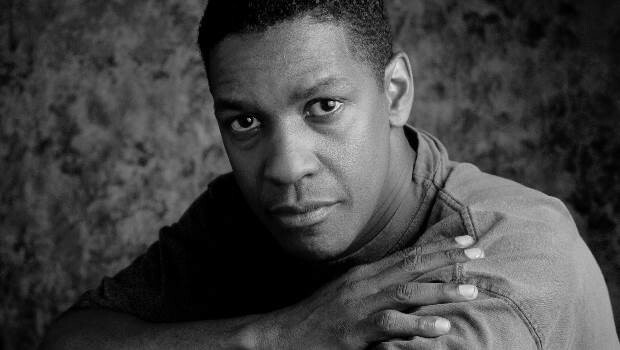 Denzel Washington’s latest project, Man on Fire, is simultaneously a bloody action film and a sweet relationship story. Q: I have to say, I think this is your most emotionally resonant performance I think you’ve ever delivered. Denzel Washington: You know, I’ve got to look at this movie again, because I’m hearing that. I didn’t think that. I’ve got to really look at it, you know, because maybe I finally learned something about understating, underplaying, cause I didn’t feel that. It doesn’t feel that way to me. I when I saw it, I was affected by it, and I mean I’m not saying affected by my performance, but you know, when that girl starts coming over the bridge it’s like, “oh man,” it’s kind of emotional. Q: There’s something in your eyes, you feel the deadness that Creasy’s feeling. And when he sparks to life, you feel that just as powerfully. Denzel Washington: I think that this film was closer to me in some ways. We all struggle with whatever we struggle with. We all have our demons, so maybe it was easier for me to think about that as it relates to me personally, you know, and say, “hey, I have this in common with that character or that,” we are all struggling with something in life, or trying to get better or more spiritually strong, or whatever your struggle is. This guy had a tremendous amount of guilt and depression about his job and it led him to drink and led him to this darker and darker place. I haven’t been to the depths he’d been to but, but I can relate. Q: What’s the most liberating aspect for an actor when you get a role that’s this layered and this complex? Denzel Washington: Mmm, hopefully that, days like today when you find out you’ve accomplished what you set out to do and that people say things like you just said. And sometimes you don’t even know that that’s what your doing, but it affects someone in a way, it’s like when people ask you, “well what do you want people to bring—to get from this film?” Well I always say it depends on what they bring to it, you know, I can’t say what the experience should be for you, you lay it out there and you do your best, and you serve the material, and you pray. Q: You and Dakota Fanning together really give this film a huge emotional pulse. How is it working with her? Denzel Washington: She’s a she’s a hoot. She’s a character, you know? And she’s a spirit, a very powerful spirit. And in such a young little body and she’s very bright and honest as a human being and as an actor. And it’s refreshing, you know? You hear about, “oh don’t work with children and animals,” whatever, but she’s not a child. She’s a young person, yes, but she’s very mature. Q: How do you think the city affects the overall production as a whole? Denzel Washington: I mean you can’t create or you can’t imagine what you get just from walking around, you know? Like we shot in one of these big squares and they got the flea market that goes on over the weekend and the museum’s right over there and the mariachis are all looking for jobs over there on the corner and you can’t imagine that. The impact that it has on you. I mean, I would get with my guys and try to sneak away from the security guys sometimes, and just take walks, you know, and just feel the people and, just the fact that it’s soak—that it’s twenty seven million people in this small place. Like we film in Los Arcos, which has, I don’t know, two or three million people within the city, it’s a city unto it’s self and so it’s just always better when you go to a location, I think. Q: What elevates “Man on Fire” from other films currently out? Q: What surprised you most about what goes on down there? Denzel Washington: That nothing is the same every way you go. When the have nots are there everyday, right there rubbing shoulders with the super, I mean you got super super rich people down there. And you got super poor people and it doesn’t seem to be much middle grown. Everybody wants to eat, you know, and if you say to another man, “hey, you, you can’t eat but I’m eating the best part of the steak,” sooner or later your gonna look up and he’s gonna ask for a slice. So I think that’s what’s happening in many countries and unfortunately in South America, in Brazil and Columbia and in Argentina. It’s not just Mexico City. You know, when this book was written twenty, thirty years ago, it was written in Italy, it took place in Italy, when Italy was a kidnapping capital, so. Q: What does “Man on Fire” mean to you? Denzel Washington: You know, its like you said, it has so many meanings. This is one film where I like seeing the billboard up there, because it’s like they were smart to make it so big, a fire is being alive again. Fire is, you know, revenge, or whatever, or passion, you know? She rekindles the flame in this in this mans life.